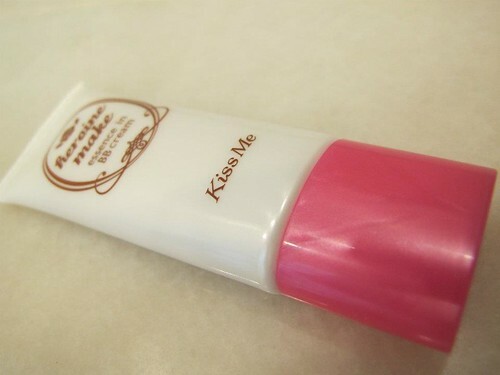 Today, I'm gonna share about BB creams and Mascara and what I think about the ever popular Kiss Me products. A picture of products that I'm gonna review in this post. Contains essence ingredients (Super hyaluronic acid, Nano collagen, Rosehip extract, and Chamomile extract. It fully moisturizes deep down to the stratum corneum. 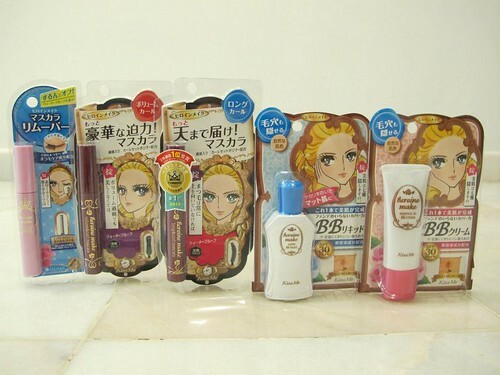 Pros: I like how the packaging of the BB cream is small and easy to carry around. The BB cream blends fairly with the skin. The BB cream does not have any distinctive smell. Even though it has an UV protection effect SPF30PA++, it doesn't have greyish tone effect on skin. Covers uneven skin surfaces and pores in one easy step and creates even, flat skin. Leaves the skin looking smooth by reflectin the light diffusely. Because it can also work as foundation, it can control visibility of dullness, freckles, and spots to allow the entire area to have an even tone. The flesh-coloured base naturally matches your skin tone without any whitish finish. Contains essence ingredients (moisturizing ingredients: Super hyaluronic acid, Nano collagden, Rosehip extract, and Chamomile extract). It fully moisturizes deep down to the stratum corneum so that makeup application and skin care treatment can be done at the same time. Cons: The colour is darker than Kiss Me Heroine Make Essence in BB Cream (Make up base) so not suitable for light skin. Advise: Not suitable for dry skin. More suitable for oily/combination skin. 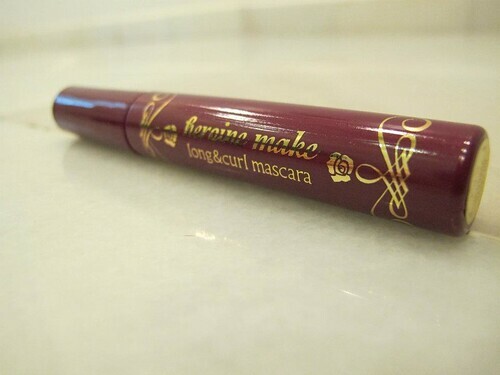 A dramatically gorgeous lengthening effect lengthen your eyelashes to 120%. The oil repellent Curl-maintaining polymer helps your lashes stay curled upward for many hours while preventing smudging caused by sebum. The new improved formula delivers an even more powerful and longer-lasting curling effect. 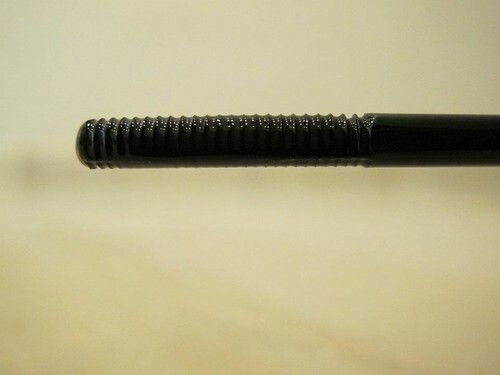 The curved brush easily curls lashes up along the edge of the eyes. The new formula comes off more easily with your makeup remover. 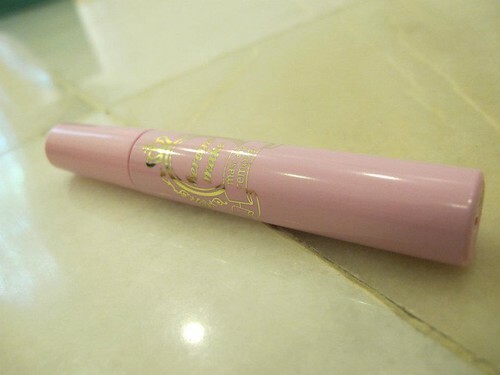 The thickening and volumizing effect takes your eyelashes o 130%. 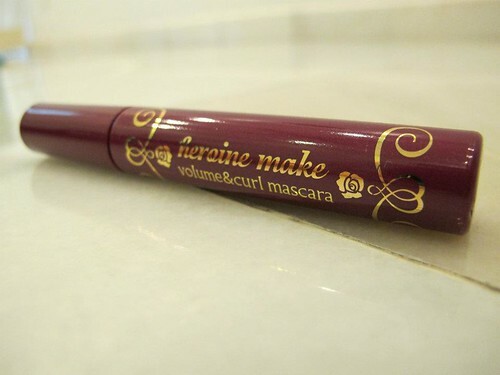 The wavy brush effectively volumize your lashes. Here's a picture of Kiss Me Eye Make Up Remover that I would recommend you to get if you wanna use Kiss Me Mascara. It's really easy to remove with it. 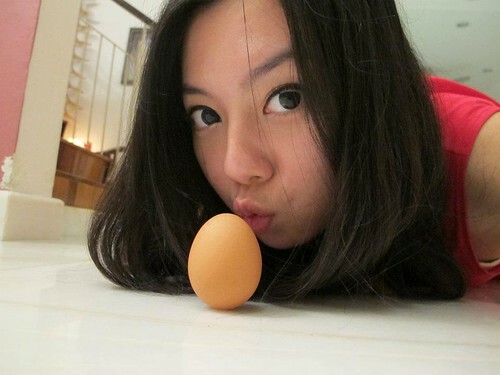 How the tip of Kiss Me Eye Make Up Remover looks like. Yah same! And it works like wonder!